Jennifer S. Snyder, Esq. 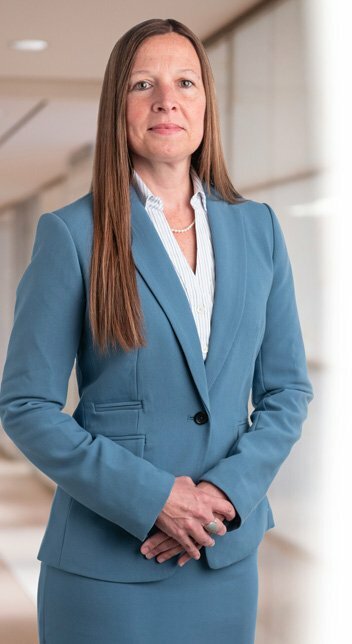 focuses her practice on complex litigation matters and is a member of the Appellate and Post-Trial Advocacy Group. She has participated in national multidistrict litigation cases and antitrust class action lawsuits, as well as mass torts. Jennifer also has experience representing clients in medical negligence and insurance bad faith cases. In addition, Jennifer is a member of the Internal Investigations Group. She represents businesses and individuals facing investigation by federal and state agencies. By leveraging her experience in legal research, analysis, fact-finding and critical thinking, she effectively collaborates with all associated parties to conduct fair and thorough investigations. Prior to joining Saxton & Stump, Jennifer practiced with RodaNast and Roda Law, two prominent plaintiff-side litigation firms. Jennifer’s ability to anticipate the approach of plaintiff’s counsel uniquely positions her to establish a strong defense for clients.